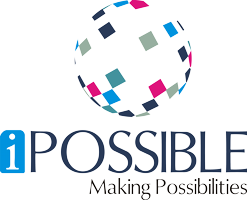 “I POSSIBLE” consultant specializes in business consulting services in which to improve the development, better expense and to promote better feedback. “I POSSIBLE” passionate about business, so if you are looking for help from dynamic group of business consultants – you’re in the right place. Every year our specialist business consultancy services increase sales, market acquisition and performance (including business expenses) for our customers. We have successfully worked for the UK and internationally, including business enterprises, public sector agencies, schools, universities, colleges, not for profit companies, social businesses and charities. They are big and young, young and old. You will take advantage of great business information, vision and experience – which directly meets our organization for our business consultants. We use the same blueprints and diagnostic tools that are in the form of large management account methods and have extensive knowledge to support it. We work perfectly and focus on making your business more successful. We support clients to grow their business and spend their money wisely – through effective buying and procurement. We support customers to increase our business and spend money in intellectual way. If we can make a real, positive difference, we will only work with you. We do not sell services for our own benefit only! We provide high-impact business diagnostics, strategic and development programs that promote business development. Don’t hesitate to contact for further information friendly staff is more then happy to chat with you. Tel #on 923316333251 or email info@ipossibles.com – We’ll be delighted to hear from you.